WESSON, Miss. 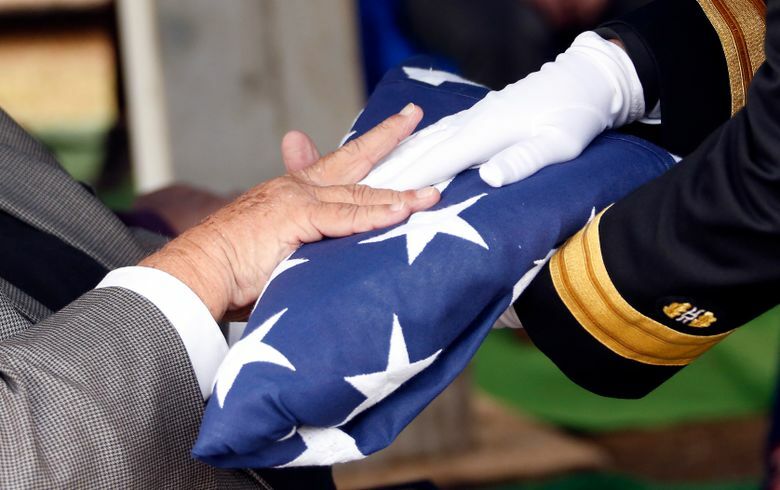 (AP) — American flags hung from every pole and business in the small Mississippi town of Wesson as the remains of a 23-year-old sailor headed to his last resting place Wednesday, 75 years to the day after he was killed at Pearl Harbor. 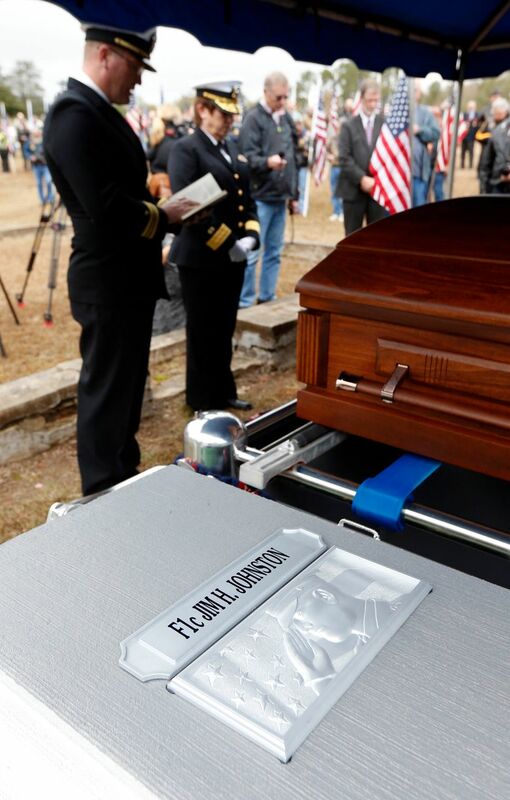 Fireman 1st Class Jim H. Johnston was buried with full military honors in his hometown. 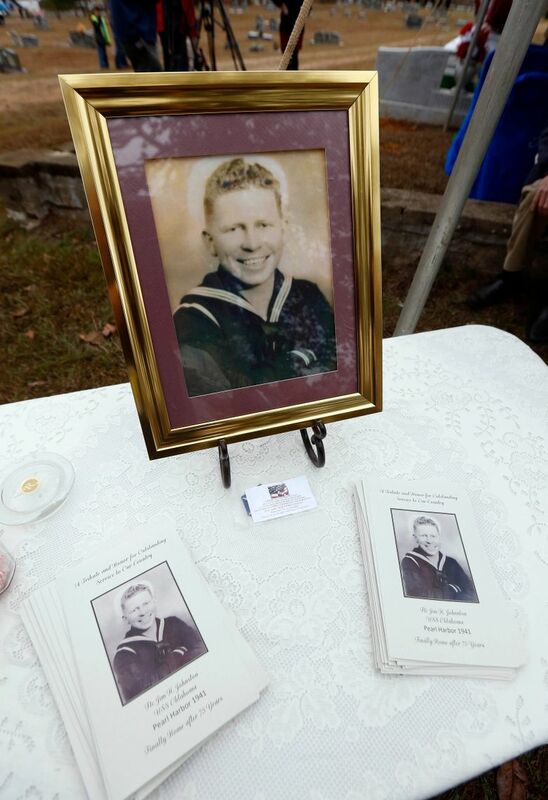 He was one of 429 crewmen killed on the USS Oklahoma when it was attacked by Japanese aircraft on Dec. 7, 1941. 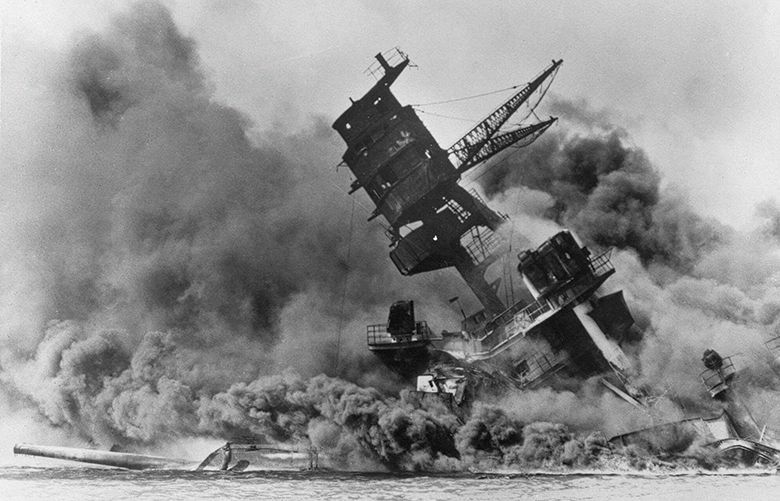 The attack triggered the entry of the United States into World War II. Local media report Johnston’s remains were disinterred last year in hopes of identifying them through modern scientific methods, and were returned to Johnston’s family on Tuesday. 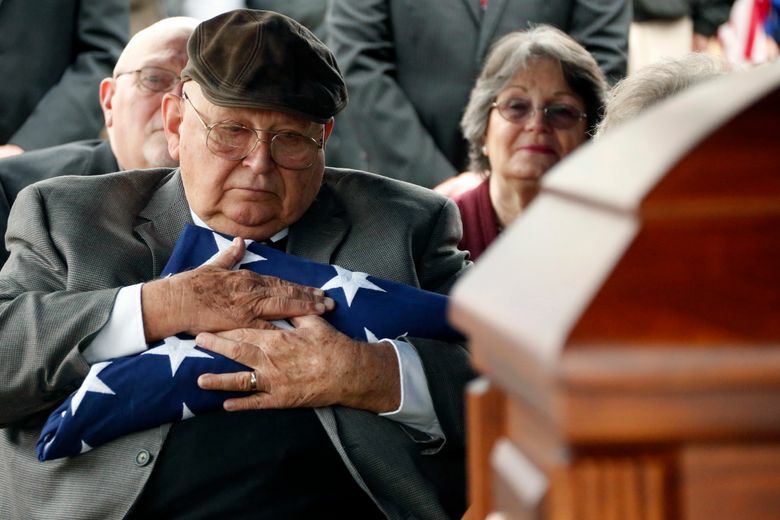 In October 1949, a military board ruled that many of the remains from the Oklahoma, including Johnson’s, were non-recoverable. 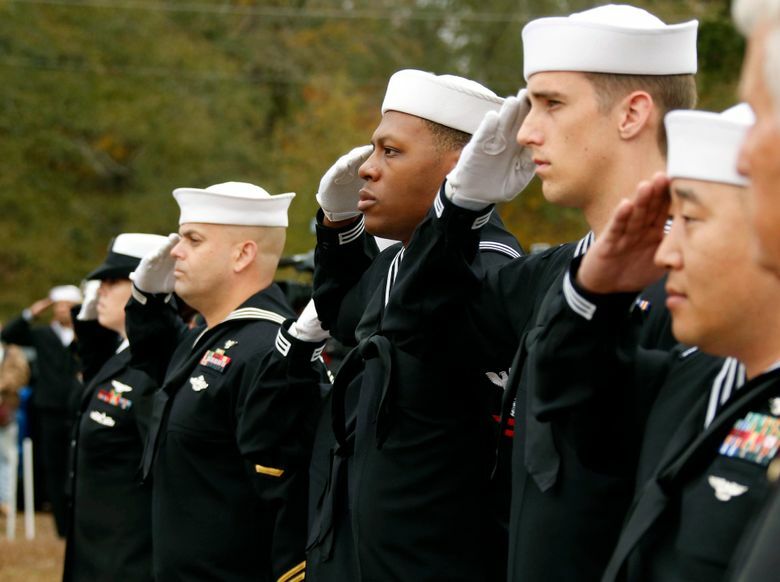 The Riverwood Family Funeral Service was contacted by the Navy to make the arrangements and owners offered their services free of charge. 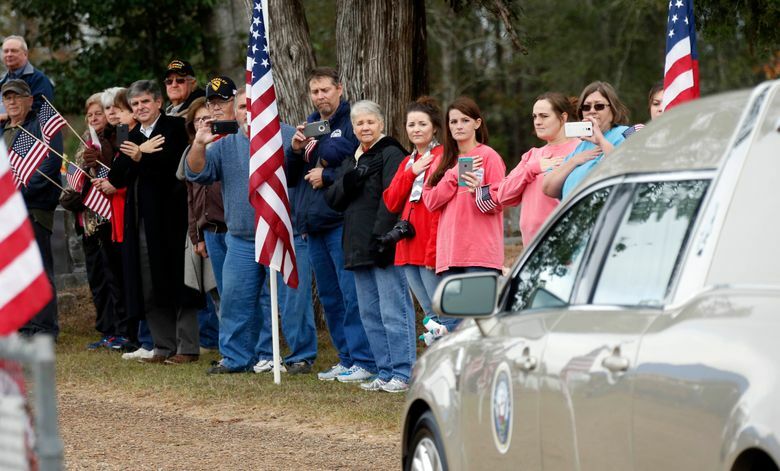 About 250 local residents gathered around the family plot at the Wesson Cemetery as Johnston was buried next to his parents. Gov. Phil Bryant attended the graveside service and thanked Johnston and all of the Mississippians killed in World War II for their service. 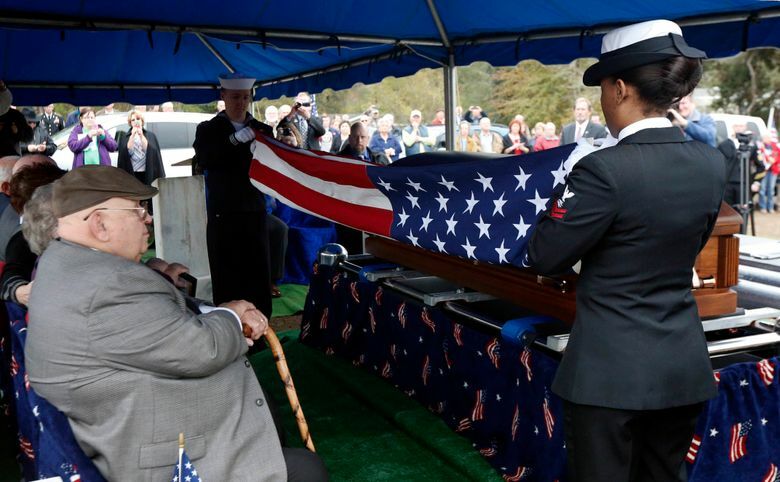 Frank Springs, Johnston’s nephew from Lucedale, Mississippi, was one of the family members attending the service. He spoke briefly thanking others for attending.